It’s an odd season to be thinking about corpses. All the leaves are green as we move out of the dead of winter toward the spring of new life and renewed hope ahead. Yet Malta is firing up for its first crematorium, a development which can only go ahead once the relevant legislation is firmly in place. And there’s a lot to think about before opening those oven doors, not least along environmental lines. We are running out of space for all kinds of activities. Dying isn’t one that is going to stop any time soon. People will go on dying, for which a solution with the least impact on the environment is needed. 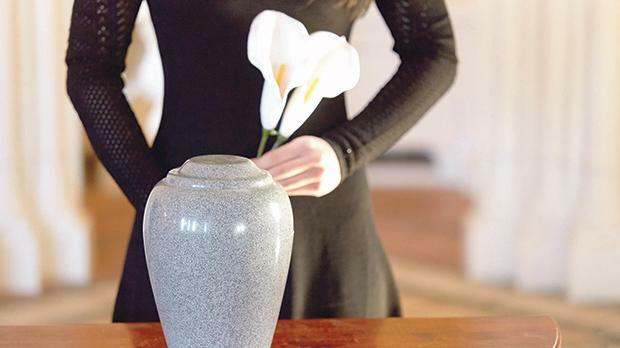 A cinerary urn containing the ashes of a deceased person takes up less space than a coffin. Upfront it seems like a good idea for a small over-populated island. But digging more deeply into the options for a greener death, it’s ghoulishly debatable. Instead of being put underground, some people would like their ashes scattered in a favourite spot after they die. Or sent to the moon, at a cost of around $10,000. Others want their “cremains”, after their bodies have been legally and appropriately incinerated, to be scattered at sea – or on the home pitch of their favourite football team. Manchester United famously had to put a stop to relatives scattering the ashes of fans on their pitches. Alkaline cremation ash can cause a ‘burnt’ effect if concentrated amounts are placed on vegetation. To protect their grass pitches, many European clubs now have a purpose-built memorial garden so that fans can have their ashes scattered there. Environmental choices become shrouded in anomaly as we start to look at the mechanics of cremation. A rigid cardboard container is preferred to the traditional wood coffin which might give off emissions from varnishes or formaldehyde resins in chipboard. Gas would most likely be the fuel of choice in Malta. The proposed furnace behind Addolorata cemetery would require pre-heating and after-burners to reduce the emissions of carbon-based particulate matter, volatile organic compounds and persistent organic pollutants. Truth be told, the technical side of managing a crematorium is not dissimilar to a waste incinerator. European Environment Agency guidelines say that since no specific document on best available techniques for cremation exist, a 2006 European Commission reference document on integrated prevention and control of pollution from waste incineration may be used. Care must be taken to adjust the temperature for individual body weight, fat content, etc. and sorting must take place before flesh is reduced by the flames to fragments of bone. Any medical device such as a pacemaker is removed before cremation. After the remains have cooled, magnets draw out coffin nails, hinges and metal implants which may be sold as scrap metal. The bone fragments are all that is left. These are ground mechanically into a powder, resembling coarse sand that we are led to think of as the “ashes” of our loved ones. It’s quite a business. Traditional grave sites in Malta cannot be opened until two years since the last burial, unless there is a criminal investigation requiring DNA. Should the family grave be full, it’s thought that any queasiness about ending up in a common burial grave may be avoided through cremation. Yet some mingling of remains with those of another body cannot always be prevented. Ashes may not be completely retrieved from the cremation chamber, resulting in “unintentional combining”. The furnace is swept clean for the next arrival but a small residue of ash may linger. This is where the Roman Catholic Church raises an eyebrow since it prohibits any scattering or dividing up of ashes. The other eyebrow is hoisted at the idea of anonymous burials. The Church calls for plaques to be placed on trees in groves where the ashes have been buried in the ground. Ashes must be kept intact in a sacred place says the Church which accepted the “unstoppable increase” in cremation and issued guidelines just two years ago. “A human cadaver is not trash” said a Vatican cardinal at the time. The Church began allowing cremation because it appeared to be cheaper and environmental concerns were mounting over burying bodies embalmed with toxic fluid, creating the need for grave liners to protect the water table. The main worry with cremation from a green viewpoint is the energy consumption – about a month’s energy demand for one person per cremation according to one source. Alkaline hydrolysis known as “water cremation” uses less energy – but then waste water is a big issue. Reducing mercury emissions from dental fillings is another headache. Ironically, using more energy to increase the temperature and ratcheting up the carbon footprint is how it’s done. Earlier this year, a University of British Columbia report recommended building crematoriums away from residential neighbourhoods in the Canadian province. A cremation law was passed in Cyprus in 2016 but no crematorium has been built despite pressure from a large ex-pat community. An initial estimate of €2 million had been bandied about. But, according to a representative of licensed funeral homes on the island, standards that a crematorium in the EU must adhere to are likely to double projected costs, reaching €4 million. Whether to bury or cremate will be the next big debate this year.